In a true steak house setting, Cru features a central show kitchen complete with dancing flames and busy chefs grilling choice cuts of meat that add to the drama of a beautiful dining room. The Cru Sampler is ideal for those who want to taste all the steak house appetiser favourites. The crab cakes, tuna, and mushroom soup stood out among the nine selections offered. Steak being the main affair, try the Angus Prime rib or centre cut Angus tenderloin and enjoy watching the steak being prepared. Both are cooked to perfection with flavourful crusts and succulent pink centres. 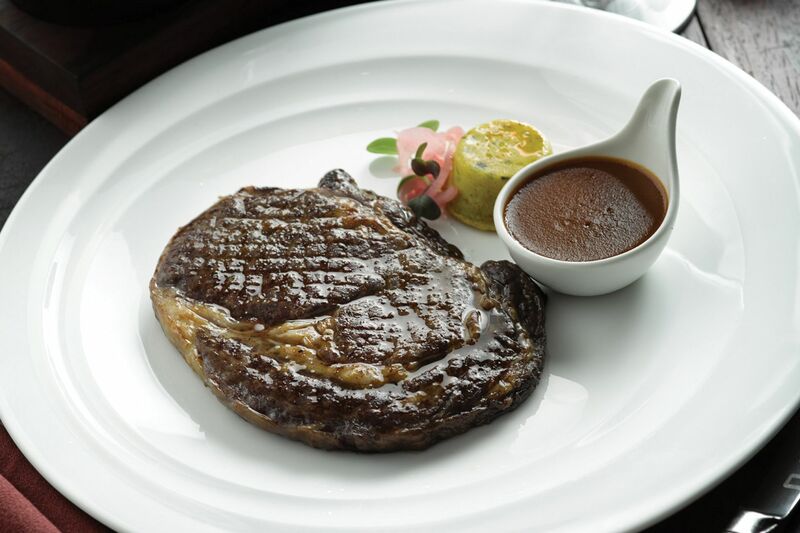 The separate trolley of sauces, salts, and accompaniments features a truffle mustard, which is an excellent addition to your choice steak dishes. Wines by the glass are well preserved by a nitrogen system allowing a broader range of wine styles, grape varieties, and price points.